Job hunting can be stressful, and interviews definitely contribute to that stress. Having someone evaluate you based on a variety of factors that can include (but are not limited to) a resume, a degree, test scores, etc. is definitely nerve-wracking to say the least. However, job interviews can be made more manageable, and likely more successful, with a few simple tips. Importance of Preparation. Just as studying for a test means you are far more likely to receive high scores, prepping for an interview with some research about the company and position which you are applying for can give you a leg up on the competition. When you know you have an interview with a business, go on their website, and take note of any unique features. Read reviews of the company online if there are any. Do as much as you can to find out how the business works, and what their “brand” is with consumers. It can also be helpful to examine local competition as well, to see what they are doing different/better and know what sets your potential employer apart in their field. By coming to the table informed, you have already proven that you care about the position itself and aren’t simply treating it like any other job. Bring Your Own Paperwork. While most interviews come with paperwork (like your resume!) it is noticed by prospective employers when you provide work history, references, and published works or accomplishments up front. Doing so makes you look prepared, and shows that you have nothing to hide, and are ready and willing to discuss anything in your educational and/or work history. Timing Is Key. Do NOT be late for an interview. This could cost you the job singlehandedly. Being punctual is vital to a successful interview, and that does not mean rushing in only minutes before the interview is supposed to start. Aim to arrive around 15 minutes before the set time of the interview, and try to remain composed and put together. 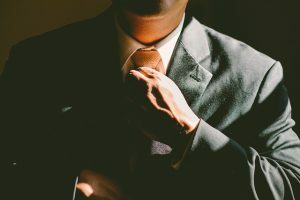 Coming in with an organized appearance and being at-ease, instead of rushed and stressed, means the interview will start off on the right foot. Ready to dive into the world of interviewing and job-hunting to find your perfect position? PHR Staffing Solutions is here for you. We serve the entire Polk County region with top-quality staffing service, and we work with some of the top employers in the area. By partnering with us, you know you will be getting access to some of the best jobs available, and you will have a head start on any competition. Give us a call and let us help you get hired!